Memphis Soul Revue was Amazing!! Everyone loved them. Extremely entertaining and energetic!!!! Memphis Soul Revue is the BEST band in the Mid-South. Their range of music appeals to all ages and any crowd. They sound AMAZING, they look AMAZING, and they know how to truly ENTERTAIN! If you want a top notch band don’t hestitate when looking at MSR, they truly are the BEST and worth every penny! Furthermore, RAM is great company and always a pleasure to work with! “We are so pleased with the performance of Memphis Soul Revue. The band was great and their music selection appealed to the entire spectrum of guests attending the event. The band was so good, the guests stayed at the reception to the end and even begged for more. The dance floor was full from the time played the band played it’s first song after the ceremonial first dance of the married couple to the last set. RAM provided a stress free experience. All communications were immediately answered or answered within a few hours. The contract was simple and succinct. Nothing was hidden. We hired Memphis Soul Revue who superbly delivered all our requests. We requested two songs which were not on their playlist and they performed them flawlessly. We would not hesitate to contract with RAM, again. “Our experience with RAM Entertainment was extremely satisfactory. It was so simple to book the band–Memphis Soul Review–and all the “business” part of the transaction was pain free. I think done entirely via email. The band was recommended by my daughter’s Ole Miss friends for her 21st birthday and they were perfect. According to her recommendation, there was no other choice—MSR was the ONLY band to have for her party. And that proved to be true. They played all the right music at the appropriate time, more “mellow” during cocktails and then really revved it up later, and the dance floor was packed! Our daughter was very pleased and so were we. We cannot wait to hire them again! book them again and I plan to recommend them to all our friends. “The first thing I booked after getting engaged was MSR! I completely booked my wedding date around their schedule. The are the best! “We could not have asked for a more professional atmosphere than Ram Entertainment for our event. Each of you went the extra mile to see the event happened as planned. The Memphis Soul Revue was also more than willing to accommodate us with every request we made. We had many comments on how they were one of the best party bands our guest had heard. Thanks again for making it a special night! “Working with RAM Entertainment and The Memphis Soul Revue was fabulous. The band absolutely made the party. We heard comments from everybody from the youngest to the oldest about how great the band was and how they made the party fun. My daughter, the Bat Mitzvah girl and her friends loved the band. I highly recommend them for Bar & Bat Mitzvah parties. “Memphis Soul Revue was fantastic! We had a wonderful time and the music was excellent. They were even flexible about adjusting the time of performance due to the Tigers tournament game. Thanks Much! 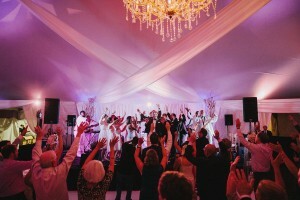 “I just wanted to pass along all of the rave reviews we have received about Memphis Soul Revue! They did an AMAZING job and kept everyone on the dance floor all night. They were very gracious and enthusiastic. Please pass along our thanks to Ernest and all the band members- they are the BEST! Thanks for all your help in making our party such a memorable night. Memphis Soul Revue was AMAZING. It was absolutely perfect and there is not another band out there that is more perfect for a reception. Everyone has asked me who the band was and has told me how wonderful they are. Memphis Soul Revue IS THE BEST WEDDING RECEPTION BAND OUT THERE!!!!!!! Everyone danced the entire night. Tell them thank you and that they are amazing! Memphis Soul Revue was absolutely the Bomb!! Our crowd was on the dance floor until the Peabody shut us down at 12:30am. I’m still getting calls about how good they were.